Eye-Witnesses of Aviator's Fatal Fall. 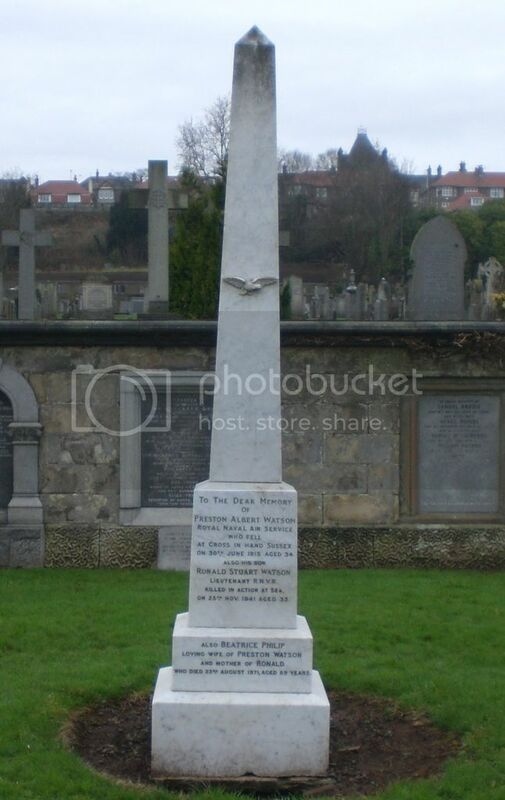 The news of the tragic death of Flight-Lieutenant Watson of The Royal Naval Air Service , came as a shock to his many friends in Dundee and district. 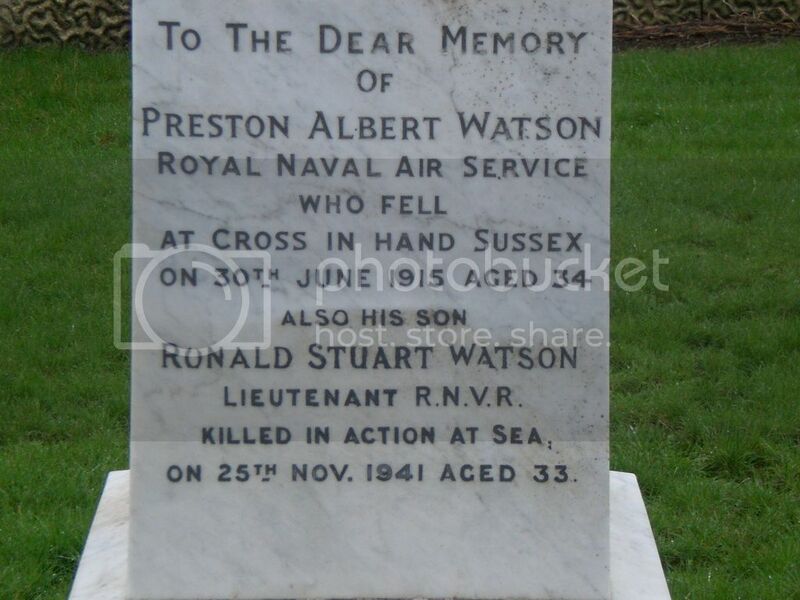 It appears that Lieutenant Watson was flying a biplane at a great hight over Cross in Hand, East Sussex. Something went wrong with the machine which descended with great violence into a field. Two men who witnessed the accident rushed to the spot and found the officer dead. The machine was wrecked, portions of it being in an adjoining field. An Explosion. People living near the scene of the accident stated that they heard the aeroplane engine, but could not see the machine. There was a report following which the machine appeared below the clouds and fell to earth with a crash. It is thought that the explosion must have happened above the clouds. Fell in a field. Eye witnesses of the mishap stated that the aeroplane dropped like a stone into a field opposite The Cross-in-Hand Hotel belonging to Mr J Herring. Severa; people from houses near by and some hay-makers were quickly on the scene but found the pilot beyond all aid. His body was buried beneath the debris of the shattered biplane , his head and shoulders only being visible from between the engine and the propeller. He was quite dead. Dr Holman was called but could do nothing and the body was removed to the Coach House of The Cross-in-Hand Hotel. The wreckage was immediately taken charge of by the military authorities and the field guarded. Mrs Dove, whose backyard adjoins the field in which the machine fell, stated that she heard the noise of an aeroplane's engine but on looking into the sky could see nothing. Then there was a loud report and then the machine was seen to be falling rapidly. After it struck the ground Mrs Dove said splinters flew into the air to a height of about 50 feet. Machine in the cloud. Other eye-witnesses stated that they heard the noise of the engine coming from the direction of Mayfield. The machine was not visible, being apparently above the clouds, which were rather low, but it seemed to travel as far as the Cross-in-Hand Mill and then turn. Suddenly a loud bang was heard and the machine was seen to fall through the clouds. One gentleman said that after the first report the machine seemed to be planing down, when there were three successive bangs and the machine fell nose first. Panel Reference:Panel 60, Column 2. Additional Information:Son of Albert Preston Watson and Beatrice Watson; husband of Thora Margaret Watson, of Invergowrie, Angus.